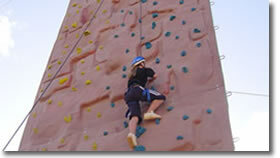 Flashpoint Sports prides itself on providing the most durable, adaptable and cost effective hand holds available. Over many years our Hand Hold Designer has honed and mastered his skills to develop aesthetic and functional holds that complement any rock climbing wall surface and design. 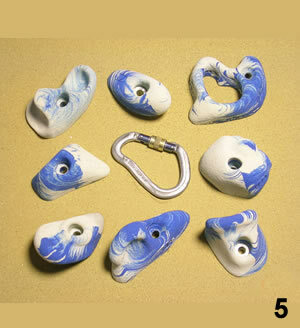 On a regular basis new designs and concepts for climbing holds are introduced into the range so that at any given time exciting new options become available to the individual climber or climbing gyms. Whether you have a home bouldering wall or a commercial rock climbing gym your specific colour requirements are easily catered for. Just let us know what colour/s you need, or provide us with a sample and we will customise your order. If a breakage occurs we will replace the climbing hold free of charge providing the holds are installed to Flashpoint Sports guidelines.